Now that we finally got our hands on the much anticpated Dynamics CRM 2013 some of us will be facing upgrade situations at our customers. 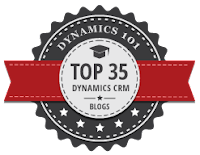 To upgrade CRM 4 to 2011 was a quite nice experience, have that changed for 2013? I have been doing a fair share of installations of Dynamics CRM 2011 installations and upgrades which has given med some gray hairs at times but for the most part been sort of smooth. I'm not counting the IFD installations I've done as smooth in all areas, but they are managable when you get used to it. After installing a CRM 2013 server that will be used as a lab machine, I thought it would be entertaining to do a test upgrade of one of our old CRM 2011 machines. So, I started by installing a CRM 2013 on top of one of our lab servers, being the man I am I totally ignored to read the implementation guide, this would of course bite me in my rear side, pretty quickly too. It all started fine, I double clicked on the install file, then it stopped going fine. "This version is not supported", what the h....So I would have to do something radical, read the implementation guide, great shame. So, what went wrong? According to the IG the supported versions are UR 6 or later than 14. However you are recommended to install the latest version, so, I installed UR 15 on the server. Continuing to read the IG it also recommended to uninstall the SRS on the system to be upgradet, done. Now I was ready to upgrade. Or so I thought. Next stop was that I got an error about something not being right, and if I wanted to know why I was to open <username>\AppData\Roaming\Microsoft\MSCRM\LegacyFeatureCheck.xml. Now, why on earth isn't there a button saying "Click here to open this log that you will need to look at in order to be able to continue" (or perhaps something shorter lite "click to open log"), however in my case the problem was a component we had tested that was present in the ISV folder. This is now completely depricated and CRM 2013 won't be installed if there's data in the ISV folder. The log indicates that the server install tool checks for CRM 4.0 plugins, CRM 4.0 SDK references and CRM 4.0 web service endpoints usage. Now, all is ready to go after cleaning out the ISV folder I ran the server install and selected one of the existing organizations to upgrade and it all worked smoothly. After the install/upgrade the SES installation kicked in and then there was a CRM 2013 lab environment available. All in all I would have to say that both installation and upgrade is a relatively smooth operation once you get past the little bumps of say, actually read the manual. One thing that you might want to have a closer look at is the part of the implementation guide that covers merge of database tables at a later time. CRM 2013 doesn't split the enity tables into base and extension any longer so when you upgrade an old organization these tables are merged. If you have a large organization you might want to do the DB merge in a service window since it is quite a large operation. The instruction is available in the implementation guide. It is quite a list to go through but seems quite manageable.